In every State Muslims constitute disadvantaged communities; only the extent and nature of the disadvantage vary. MUNICIPAL CORPORATION SWEEPERS M.D. Jaleel and Ganesh Ram sit before their houses at Ambedkar Colony in Patna. TO the residents of Yarpur basti (an urban settlement) in the heart of Patna, there is nothing extraordinary in the friendship between Mohammed Jaleel and Ganesh Ram Bara. 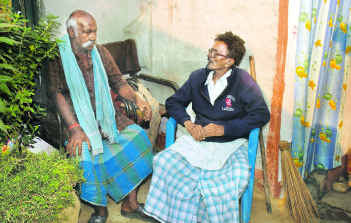 Both of them, in their mid-sixties, had worked together for many decades in the Patna Municipal Corporation as sanitation workers. They spent much of their lives in Yarpur, locally called dom basti or bhangi basti in a disparaging reference to the caste of the sanitation workers. Their work involved a variety of tasks, such as sweeping the roads, unclogging gutters, cleaning toilets, carrying filth and disposing of waste, aimed at keeping Bihar’s capital city clean. Because of the nature of their job both Jaleel and Bara faced the same kind of societal exclusion. "No Brahmin or Rajput would come to my house or drink a glass of water from my hands. No Pathan or Sayed or Mallik would go to Jaleel’s house or have a glass of water from his hands," says Bara. "All our social gatherings are essentially among sanitation workers, both Hindu and Muslim," Jaleel says. Obviously, Jaleel and Bara have led strikingly similar lives. Their day-to-day social experiences too are similar. Yet, in the eyes of the government, Jaleel is more privileged than Bara. Throughout his service, Bara had enjoyed some benefits because the Hindu safai karmachari community was absorbed in the Scheduled Castes (S.C.) list. Jaleel never got the same benefit because he is a Muslim. "We tried to enlist ourselves as beneficiaries of various government schemes, including education schemes, which our Hindu brethren enjoy, but we were rejected each time on the grounds that we were Muslims," Jaleel’s daughter, Najma Khatun, told Frontline. But this is not the story of one Jaleel and his family. Dalit Muslims across Bihar and other parts of North India who belong to castes such as Jolaha, Nutt, Bakkho, Bhatiyara, Kunjra, Dhunia, Kalal, Dafali, Dhobi, Lalbegi, Gorkan, Meershikar, Cheek and Rangrez, have the same low social ranking and are deprived of the benefit others enjoy. In many parts of North India, many of these communities have separate mosques and bury their dead in separate graveyards. According to Mohammed Usman Halal Khor, general secretary of the All India Pasmanda Muslim Mahaj (AIPMM), a Bihar-based organisation of Dalits and Most Backward Caste (MBC) Muslims, the socially and educationally backward communities among Muslims "are not accepted or treated as equals by elite Muslim communities and even by sections of the clergy. They are subject to the same social discrimination faced by Dalit Hindus. Yet, Dalit Muslims are deemed ineligible for the government benefits given to Dalit Hindus." A significant aspect of Justice Rajendra Sachar Committee’s report on the status of Indian Muslims is that it has highlighted the plight of Dalit Muslims. According to Ali Anwar, president of the AIPMM and a Janata Dal (United) Rajya Sabha member, the report clearly underscores the need for evolving special programmes to uplift the various Dalit Muslim communities from social and educational backwardness. "If at all reservation in jobs and educational institutions [for Muslims] are introduced on account of the Sachar Committee report, it is these [Dalit] communities that deserve it and not the Muslim elite," he said. A major demand made by the AIPMM before the Sachar Committee was for a census based on caste to evaluate the social and educational backwardness among different religious groups. The AIPMM has demanded S.C. status for Dalit Muslims. Although the Sachar Committee report has suggested that it would be appropriate to include low-caste Muslims, mostly working as butchers, barbers and scavengers, in the S.C. list or in a separate category, its actual implementation would prove difficult. To start with, there is considerable opposition from some prominent S.C. leaders and organisations to the inclusion of Dalit Muslims in the S.C. category. Former Union Minister and Congress leader Yogendra Makwana told Frontline that mere study reports were not enough to include new communities in the S.C. list. "Caste-based analysis stopped with the 1931 round table meet of Census Commissioners and as of now we have no system to make new evaluations of castes and their social and educational backwardness. Moreover, Dalits who converted to Islam or Christianity no longer suffer from untouchability, which is the primary consideration for according S.C. status to any social group," he said. According to P.S. Krishnan, former Secretary to the Government of India and one of the foremost authorities on the condition of socially and educationally backward communities, the demand for including certain Dalit Muslims in the S.C. category indeed needs to be considered but only after a thorough anthropological study. He pointed out that the social effect created by conversion to Islam from Dalit and Backward Caste communities were dissimilar in different parts of the country. "Studies have shown that a significant number of the Dalit communities who converted to Islam in South India have registered a distinct rise in social scale, while the same cannot be said of those in North India. The communities that have acquired better social mobility by conversion and those that have failed to do so need to be identified and categorised so that new initiatives of affirmative action can be taken," he added. A number of social activists working among Dalit communities pointed out that a hidden reason for the opposition from S.C. leaders and organisations to include Dalit Muslims in the S.C. category is the fear of losing the opportunities currently available. "Inclusion of Dalit Muslims in the S.C. category would naturally lead to the inclusion of Dalit Christians too, and there is a perception that Dalit Christians as a whole have access to better educational facilities than other Dalit communities. Consequently, there is also a fear that Dalit Christians would get the best of positions in any competition under the S.C. quota," an activist based in Uttar Pradesh, another State with a large Dalit Muslim population, said. Another argument proffered against including Dalit Muslim in the S.C. category is that the majority of them are already part of the OBC or MBC list in various States. According to informal estimates, 75 to 80 per cent of Muslims across the country are in the OBC or MBC list, and hence it is argued that there is no need to include them in the S.C. category. But, evidently, such rationalisation would not stand the test of objective social and legal scrutiny because fundamentally there can be no justification for including a person with the social and educational status of an S.C. in the OBC or MBC category. Dalit Muslims have been categorised along with the dominant OBC castes at the Central level and in States such as Uttar Pradesh. "It is because of this situation that we are demanding a revision of the present OBC and MBC list," said Mohammed Usman. According to the AIPMM, globalisation and economic liberalisation is inflicting hardships on Dalit Muslim groups, known as arzals, mostly working as weavers, artisans, carpet-makers, cultivators, tailors, washermen and butchers. "Opportunities for these communities are becoming more and more limited in the emerging situation," Ali Anwar said. The AIPMM leader wants all States to take a positive look at the Bihar Legislature’s initiative of 2000, recommending reservation for Dalit Muslims. Anwar does not blame the governments and their agencies for being ignorant of the plight of Dalit Muslims. In his book Masawat Ki Jung, Anwar has held that the Muslim ulemmas, have failed to initiate moves to improve the social and economic lot of Dalit Muslims. MEMBERS OF THE Patriotic Front of India protest against what they describe as the Maharashtra government’s atrocities against the minority community after the Mumbai and Malegaon bomb blasts. SHABNAM SHEIKH knew it was only a matter of time before she received that dreaded knock at midnight. It happened in June 2004. The police arrived at her doorstep at 1 a.m. and told her that her son Mohammed Ahmed Sheikh, 21, was under arrest in connection with a money-laundering racket. Shabnam was helpless. She had no means to fight her son’s case. Her husband was killed and their house was burnt during the 1992-93 Mumbai riots. She worked as a domestic help and managed to educate her son and two daughters. In spite of qualifying in basic computer usage, her son was unable to land a job. Living in one of Mumbai’s many ghettoes, which are quite often domains of underworld gangs, young Mohammed got involved in petty crime and gang work. Shabnam says he was angry, disillusioned and frustrated with the discrimination and lack of opportunities for youth like him. "He saw his father’s burnt body at a young age. He could have become like so many other boys of the basti who turned to crime at a very young age." The trip to jail to see her son is valuable time off, but she makes it because she feels her son is a good boy who just did not get a chance to do honest work. Shabnam Sheikh’s faith in her son may easily be dismissed as a mother’s devotion to her offspring. But her story is no different from thousands of other such disillusioned Muslims in Maharashtra. IN BEHRAMPADA, ONE of the many Muslim localities in Mumbai. A police officer said the majority of the people who visited the Arthur Road jail daily were burqa-clad. There are several hundreds of men like Mohammed who are awaiting trial. Since they do not have access to good lawyers many of them languish in jail for years. Torture and other forms of human rights violations to extract information and confessions are part of their miserable existence. The Justice Rajinder Sachar Committee report points out that Muslims, who account for 10.6 per cent of the population of Maharashtra, constitute 32.4 per cent of the total number of prisoners in the State. Muslims also comprise 40.6 per cent of prisoners in the State who have been in prison for less than a year. The disproportion in numbers is disconcerting, says a senior State police officer. Criminal activities could mean anything from regular robberies to underworld operations such as counterfeiting, extortion and drug peddling. Ever since 1993 and owing to the more recent terror attacks, terrorism is a big battle the State has been fighting. "Whatever the crime the disturbing fact is that Muslims are the majority perpetrators in every type of crime. We need to understand why this is happening," says the officer. Unlike other States, says the officer, Maharashtra has Mumbai. "It is like a crime capital. So the numbers will be high." The megapolis has a history of underworld operations and, more recently, anti-national activities. As per the National Crime Records Bureau, 2005, Mumbai accounted for 10 per cent of the total crimes reported from 35 mega cities in the country. Mumbai has attracted Muslim immigrants from Uttar Pradesh and Bihar for decades. This adds to the numbers, says the officer. Although there are several socio-economic reasons for the disturbing statistics, human rights activists and representatives of the Muslim community say that investigating agencies armed with their biases and draconian laws have been largely responsible for the increasing number of arrests of members of this community. For instance, post-1993 serial blasts more than 200 people - mainly Muslims - were arrested under the Terrorist and Disruptive Activities (Prevention) Act. The trial, which is in its final stages, has led to the conviction of close to 100 of the 138 accused. TADA lapsed in 1995 to give place to the Prevention of Terrorism Act (POTA), which was repealed in 2004. Police records put the total number of persons arrested under POTA at 69. All bearing Muslim names. Human rights organisations, however, say that thousands of innocent people were persecuted under this law. The problem with POTA is that suspects can be kept in custody for a period of 180 days without being charged, and custodial confessions are admissible in court. The Maharashtra Control of Organised Crime Act, 1999, is a current weapon using which the police can make arbitrary arrests. All three laws have been blatantly misused, these groups say. A typical case of misuse of POTA is that of a group of boys arrested from Padgah village near Mumbai for planting a bomb in Mulund in 2003. One of the boys, Atif Mulla spent 33 months in jail before he was acquitted. "Every time there is a terror attack, the police pick up our boys," says local resident Nasir Mulla. The reason Padgah is targeted is because Saquib Nachen, general secretary of the banned Student Islamic Movement of India (SIMI), belongs to this village. "At one time almost 300 people from our village were charged with something or the other," says Mulla. 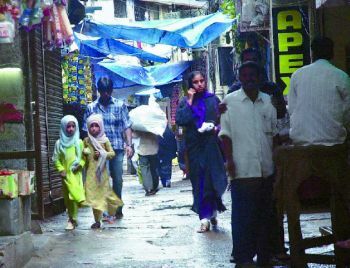 Ambujwadi, a slum in Mumbai, provides another example of persecution. Following the July 11 train blasts, 350 people were picked up for suspected involvement in the crime. Ambujwadi is one of those wretched places in the city with no electricity or water. Allegations that it is a haven of criminal activities are met with this response by residents: "Muslims are poor and make easy targets." A senior police official argues that there are "absolutely no biases" within the force. That is far from the truth, says Ram Punyani, an activist working on communal issues. At a workshop conducted for lower-ranking policemen, Punyani said it was found that all of them read Saamna (a daily published by the Shiv Sena, a fundamentalist political party). One of the policemen said, "If they can eat the cow, they can do anything." Furthermore, there is a strong feeling of alienation within the community, says Punyani. "The police were so quick in arresting people after blasts, but no such speed was shown in arresting people after the riots." More recently, the government swept under the carpet the case of bombs found in a Rashtriya Swayamsewak Sangh worker’s house in Nanded. But the police are quick to pick up Muslim youth after any bomb blast. In fact, in Muslim-dominated Behrampada in Mumbai, youth who had helped carry victims of the train blasts were later hauled off to the police station during a combing operation. "Will these youth not be angry? And if it happens over and over again, they will want justice. If they don’t get it through the normal route, they will look for others ways," said a local leader. While there is no justification for the crimes committed, the reason why so many from this minority community add up to the crime statistics has to be analysed, says noted Muslim scholar Asghar Ali Engineer. "Muslims are pushed to these extreme situations. The system has never absorbed them. There are no government jobs, no police jobs and due to blatant discrimination, nothing in the private sector. Poverty in the community is only on the rise." "Eventually you and your family have to eat. In a city like Mumbai, which has many illegal activities, it is not difficult to get in to something anti-social," says Engineer. Besides being discriminated against for their entire lives, many men have been victims of communal violence. Much of the anger and frustration stems from witnessing horrific violence on one’s own family or community. Taking advantage of this, terror agencies or even the underworld brainwash the men by showing video clippings of heinous acts committed on the community. They are then initiated into their world. Since there is money as well, this option works, says Engineer. The case of Mohammed Aamir, who was caught transporting a huge cache of arms near Aurangabad earlier this year, is a typical example of a poor unemployed man entering the world of crime. Aamir, a school dropout, used to run a foodstall, which had to shut down owing to the bird flu epidemic. Like hundreds of other Muslim boys, he was a member of SIMI. In recent years he was a regular at the meetings of a socio-religious organisation. These organisations apparently provide a lot of support. The police believe these groups are hotbeds of recruitment to jehadi groups. A maulana in Aurangabad says since Muslims find themselves marginalised in education and in socio-economic areas, a parallel set-up now exists in most of the Muslim ghettoes in cities and towns. For instance, in Aurangabad, he says, you will find organisations such as the Markhez-e-Majlishe-e-Shoora, which deals with divorce issues, and the Darsh-e-Chikha, whicht deals with family and property issues. Similarly, in Behrampada, at every corner there is a "social work" organisation. Nobody is quite sure what they do. But the impression is that the community has little faith in mainstream law and so has decided to settle matters among themselves. Another clear indication of the increasing alienation. "ALL Gujarat’s garbage arrives here," says Noorbanu Sayyed. "No one will come to live here. There’s nothing but mountains of garbage." Yet Noorbanu has made this her home, a small 10x10 feet room on the edge of mounds of burning trash in a no-man’s land in Ahmedabad city. THE TINY HOUSES of Citizen Nagar at the edge of Ahmedabad’s garbage dump. Muslim families sought safety in this isolated, polluted place. To get to Noorbanu’s house you have to drive through a dusty trail lined with small industrial units and scrap yards. At the far end of the plot, just before the dumping yard begins, is a row of houses. This is `Citizen Nagar’. Ironically, its residents are not treated like citizens. "There’s no municipal water supply, no drainage, no street lights. Nothing but junk. The water from the borewell is polluted. People get stomach ache and have kidney stones. The gutters are choked," says Noorbanu. There are no municipal services, but yet, the residents have been slapped with house tax. It is more than a half-hour walk to the nearest private school or dispensary. When it rains, the place gets flooded and it is difficult to get out. So why would anyone live here? "We had no choice. Since our homes in Naroda Patiya were burned in the riots, we are too scared to go back there. The relief committee gave us a house here, so we stayed. At least it is safe. No one will come here to attack," she says. Riot victims are not the only ones moving in here. Several new row houses are under construction. It is a ghetto in the making. Until now, Ahmedabad’s big Muslim ghettos were in Shah Alam and Juhapura, on the city’s outskirts. Now, new ghettos like Citizen Nagar have emerged. "Muslims are moving in because there is no fear here. There is no `border’ nearby so there is no chance of any fights breaking out or of curfew," says Mehmood Pathan, a builder who is constructing the row houses. "Most people buying houses here are those chased away from their villages or those living in border areas or families who want bigger houses in a cheap area." Most Muslim localities, whether old or new, are deprived of civic facilities. "I have been living at Millat Nagar in Maninagar, Chief Minister Narendra Modi’s constituency, since 1969. We have been paying municipal tax for decades, but do not have even the basic facilities like water or drainage. No politician bothers to visit this place. 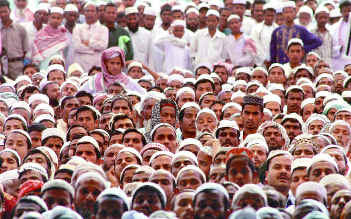 They tell us they do not need Muslim votes," Mehmood Pathan said. The process of segregation in Ahmedabad started after the 1969 riots. Every subsequent riot, particularly those in the 1980s, further divided the city on communal lines. After the 2002 carnage, polarisation has been complete in big cities. "Muslims are too scared to live in Hindu-dominated areas. And even if they want to, no one will sell a house to them," Pathan explains. The segregation has spread to small towns. Refugees who faced social boycotts in their villages have settled at the edge of nearby towns; living life in limbo, wondering about the condition of their houses and farmland back home, but too scared to return. In Modasa, a small town in Sabarkantha district, relief committees have built five small settlements providing housing for 550-odd families from 60 villages. Here too, the refugees pay taxes but do not get basic amenities. "We pay Rs.30 a month to a local contractor for water. We are 12 people crammed in this tiny room. If a guest comes visiting, there is no place to make him or her sit," Najmaben Lohar said. 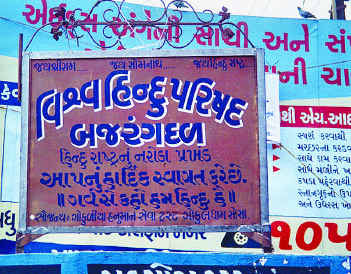 A BOARD IN Ahmedabad saying "Jai Shree Ram, Jai Somnath, Jai Hindu Rashtra. Vishwa Hindu Parishad and Bajrang Dal welcomes you to Hindu Rashtra’s Naroda region. Proudly say we are Hindus". "Last year, I tried to go back to my home in Vada village. But some people there told me, `you ran away. Why do you come back? We will burn your house again’. So I had to return," Mumtazben Sheikh, a widow, said. "There are no gutters, no place to wash clothes, so fights break out often. But at least we are safe." It is shocking to find some people still living in tents, just as in the relief camp four years ago. They are waiting for their houses to be built. "There is no electric light. We light the lamps at night," says Mehdi Husain Vanjara from Kau-Amlai village. "My three daughters wash dishes and earn Rs.200 each a month. That is how we survive." "As the nearest school is located far, half the children have dropped out of school. The dirt road was flooded during the monsoon and two children drowned when they were returning from school," Mohammed Yusuf Tadha, a relief organiser, said. A team from the National Minority Commission visited Modasa to study the plight of the `internally displaced’. Across Gujarat there are 47 rehabilitation sites where around 5,000 families have sought refuge. These families are living in the most pathetic conditions. Recently, the Central government announced a compensation of Rs.7 lakhs for each of the 5,000-odd families affected by the post-Godhra riots. While it is badly needed for their survival, compensation will not bridge the divide. And, it is not only those who lost their homes that are affected. In a State that is considered the Sangh Parivar’s `Hindutva laboratory’, every Muslim is affected by the hate culture. Every Muslim faces prejudice every day. Modasa town itself is divided along communal lines. "Modasa’s population is 45 per cent Muslim, and a market road divides the two sides. Hindus and Muslims have good personal relations but we have separate schools and banks. The college, run by a Hindu trust, is in a Muslim area, but has never faced any threat. At one time it had a Muslim principal, but over the years they have stopped employing Muslims," Mehmood Pathan said. Religious organisations are trying to fill the development void in the Muslim areas. "Madrassas have become more academically oriented. The dariwalas [bearded orthodox] want to build proper schools and hospitals. But with this slow segregation, we may have no common institutions," says Pathan. "We cannot live together. We have to live separately," says Harshad Joshi, a retired insurance officer in Modasa who lives in the `border area’. "We are all friends but because of different religions and cultures, we have to live apart. I would be safe living in a Muslim area, but who would my wife talk to? Which temple would she go to? If I try to sell my house to a Muslim, my neighbour will stop me because the price of his house will go down." In Ahmedabad too, there are very few buildings outside the ghetto where even well-off Muslims can find accommodation. 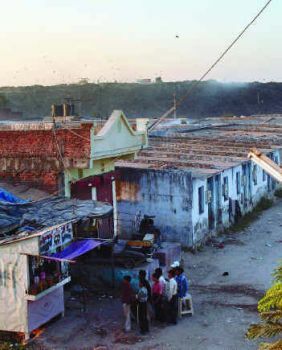 Over the years, judges, police officers, laywers and doctors have had to move to the ghetto in Juhapura, often unwillingly. "Hindus have a choice. We have no choice. No one will sell property to us. We have been pushed to a corner," said Sophia Khan, a women’s activist. Until 2002, Sophia had her office in Navrangpura, a middle-class Hindu area and her home in Shahpur, a mixed area. "My house was attacked but we were saved. After the violence, people in the office building became hostile and asked us to move out in two days. That is when I was forced to move both home and office to Juhapura," says Sophia. "Even earlier, I was always warned not to reveal my identity. My broker made me put the name of a Hindu trustee of my organisation on the lease agreement." Although Juhapura has a population of over three lakhs, it is still viewed as a `dangerous’, `illegal’ `mini-Pakistan’. Even though there are so many big buildings and several high-profile residents, the government has not provided even basic services, not even electricity. Two months ago, Juhapura was brought within the city limits. Until then, it was governed by a panchayat. "My office is on the main road, but I can’t get a BSNL phone or a broadband connection. There’s no bank or public dispensary. No State transport bus passes through here because it’s considered `dangerous’. We can’t get a loan because it is demarcated a negative zone," says Sophia. "When we moved to Juhapura, one of my Hindu staff members quit because her family would not allow her to travel here. Without reason, the prejudice keeps getting perpetuated." There is not a single government school in the area. "People have no choice but to send their children to Muslim-run schools. If people are left to fend for themselves, they have no option but to go to these religious trusts," she explains. Economically too, Muslims have been sidelined. "My business has collapsed. It is only 10 per cent of what it once was," says a builder. "After 2002, we are not sold land anywhere except in Muslim areas. The Disturbed Areas Act, a law framed to curb ghettoisation after riots, is now being misused to prevent Muslims from buying land outside the ghettos". "Several professionals have already left the State, now businessmen are also trying to wind up and move. The hate culture that has pervaded leaves us with no choice. They want to get us out," the builder said. "My grandchildren’s classmates tell them to go back to Pakistan." All over Gujarat you are constantly reminded that you are in Hindutuva country. The Vishwa Hindu Parishad has put up boards in every neighbourhood which reads: "Welcome to the Hindu Rashtra". But not many are welcome. AT A SESSION of the Jamiat Ulema in Guwahati on April 3, 2005. Until the problem of illegal immigration is solved, Bengali-speaking Muslim settlers will remain unable to address their socio-economic deprivation. UNLIKE other States in India, the Muslim population in Assam is not homogeneous. The community is divided into different categories based on the history of migration and settlement: indigenous Assamese-speaking Muslims whose forefathers came as Mughal warriors and settled in different parts of the State, Indigenous Bengali-speaking Muslims from East Bengal who settled in Assam during pre-Partition days, Bengali-speaking Muslims who migrated from erstwhile East Pakistan in different streams, and Bengali-speaking illegal migrants from Bangladesh after its creation in 1971 who crossed over through the porous India-Bangladesh border. The problems for Muslims in the State are rooted in the different historical backgrounds of their settlement and migration and are thus complex. Although Assamese-speaking Muslims can be distinguished culturally and linguistically from other Muslims, it is difficult, on the face of it to make out differences between the other groups. It was not until the 1920s that the immigration of Bengali-speaking Muslims from Mymansingh district of erstwhile East Bengal and their settlement on Chars (a highly fertile sand isle formed by alluvial silt deposition) of the Brahmaputra was perceived as a threat to Assamese identity. Until that point Assamese leaders and local landlords had benefited from the cheap labour of these settlers. However, their apprehension grew when the Bengali-speaking Muslim population recorded a sharp growth during 1921-31 and 1931-41. Assamese leaders soon started voicing the opinion that unchecked migration might threaten the existence of the Assamese people. This resulted in communal violence in the old undivided Goalpara district and other parts on the northern bank of the Brahmaputra in 1950, during which a large number of Muslim settlers fled for safety to erstwhile East Pakistan. The leaders of the Bengali-speaking immigrant settlers, however, devised a new strategy: they reported Assamese as their mother tongue in the Census and they pursued their education in the Assamese medium. This pleased Assamese leaders because their community earned the majority status, but it could not remove the "foreigner" label from the immigrant settlers. The issue of detection and deportation of foreigners, which dominates Assam’s minority politics, today has been part of the State’s politics since the early 1960s. At that time an aggressive campaign was launched by the then Assam Chief Minister Bimala Prasad Chaliha, who was heading a Congress government, to deport all those who had come to Assam since January 1, 1951. The stay of pre-1951 immigrant settlers from erstwhile East Pakistan was validated by the Nehru-Liaquat Pact of April 1950. The Chaliha government deported more than two lakh immigrant settlers to erstwhile East Pakistan under the Prevention of Infiltration from Pakistan (PIP) scheme. It is alleged that immigrant settlers were picked up by the police irrespective of whether they were pre-1951 or post-1951 migrants, taken to the border and pushed across into East Pakistan. However, since the border was open and unmanned the majority of them returned to Assam. Assam witnessed some of the worst communal violence in 1983 when over 1,800 men, women and children were massacred on a single night in Nellie in the present Morigaon district in an anti-foreigners agitation spearheaded by the All Assam Students’ Union (AASU). Blood was shed despite the fact that many Muslims belonged to the category of pre-Partition settlers and had reported their mother tongue as Assamese during the Census. The Nellie massacre and the indiscriminate deportation efforts of the Chaliha government provided both Bengali Hindu and Bengali Muslim minority leaders with the opportunity to campaign in favour of the controversial Illegal Migrants (Determination by Tribunals) (IMDT) Act, 1985. This Act was designed to halt the harassment of the Bengali communities and ensure that proof of citizenship through a judicial process was first ascertained before deportation. For their part, AASU and the Asom Gana Parishad (AGP) saw the IMDT Act as a stumbling block in the detection and deportation of post-1971 illegal Bangaladeshi immigrants and disenfranchisement of immigrants who had entered Assam during 1961-1971 as incorporated in the Assam Accord. 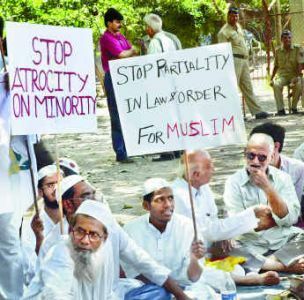 Hindu-Bengali and Muslim migrants saw the Assam Accord signed by the Rajiv Gandhi government and the AASU and the All Asom Gana Sangram Parishad (AAGSP) as anti-minority. In response they formed the United Minorities Front (UMF). The new party took centre stage in the State’s electoral politics; in 1985 it won 17 seats when the AGP rode to power. The emergence of the UMF gave a new dimension to minority politics as it was the strongest votary of the IMDT Act. In 1990, the Congress, however, managed to woo all 19 UMF legislators to its fold by voicing opposition to the AASU/AGP demand to repeal the Act. This stand of the Congress on the IMDT Act helped it to regain Muslim support, which it retained until the Act was struck down by the Supreme Court. However, in the wake of the Supreme Court order Muslim leaders turned the table on the Congress and accused the party of not doing enough to win the legal battle. This led to the emergence of the Assam United Democratic Front (AUDF), led by the president of the Assam State Jamiat Ulema-e-Hind, Badaruddin Ajmal, to champion the cause of the minority community. The AUDF wrested 10 Muslim-dominated Assembly seats from the Congress in the 2006 Assembly elections, but that did not stop the Congress from coming back to power for a second term with the support of Bodo legislators. As the immigrant Muslim settlers continue to devise different strategies to secure their political rights, their socio-economic condition remains poor. For example, the Char areas of lower Assam, which have a large population of legal and illegal immigrants, are characterised by poverty and under-development. Nearly three lakh families out of around 4.35 lakh families residing Char live below the poverty line. The literacy rate in these areas is only 19.3 per cent against the Assamese average of 64 per cent. There are only 52 public health centres to serve a population of 25 lakhs. Soil erosion is a severe problem and has forced a large number of immigrant settlers to move to Guwahati or urban areas of the State in search of employment. Those immigrant settlers who remained have demanded land settlement, but the government is yet to undertake a survey of all the Char areas. The absence of governance in the Char areas has provided fertile ground for various activities of Islamic fundamentalist groups. A recent conference of police chiefs of northeastern States raised the alarm bell over activities of jehadi groups and the export of Muslim fundamentalism and terrorism in Assam to other States of the region. Assam Director-General of Police D.N. Dutt asserted that the Bangladesh-based jehadi outfit Jamaat-ul Mujahideen had taken over the control of all Islamic fundamentalist groups active in Assam and other northeastern States. He went on to say that the outfit sent jehadis trained in Afghanistan to destabilise the region by striking at soft human targets and vital economic installations. Assam Inspector-General of Police (Special Branch) Khagen Sharma said that altogether 198 men linked with jehadi groups had been arrested in the State and 56 had surrendered to the police since 2001. Lt Gen R.K. Chabra, General Officer Commander of 4 Corps of the Army, said that Pakistan’s Inter Service Intelligence (ISI) and the Directorate-General of Field Intelligence (DGFI) of Bangladesh had "sleeper agents" in the migrant population of Assam. He said that many who took up instructions from the ISI were in the businesses of gun running, fake currency distribution, and drugs trafficking in the State. Until the vexed problem of illegal migrants is solved, Assam’s Bengali-speaking Muslim settlers will remain insecure and will not be able to address their socio-economic deprivation. IN A CENTRAL SCHOOL in Tirur, Malappuram district. The slow but lasting embrace of secular education has transformed social life and leadership roles among Kerala Muslims. MUSLIMS of Kerala are an odd lot in unequal India. They are separated by geography, history, language and culture from Muslims in other parts of the country. Also, they share a common language but differ from other communities in Kerala in several respects, for example, in "food, dress, manners, mental outlook and philosophy of life", to quote a popular list. But what makes them truly different from their brethren elsewhere in the country is their early rejection of traditional Muslim mistrust of and fears about secular education (and, later, communism) and the "dangers" it posed for the faith. In all regions of what is now Kerala, the south and central parts ruled earlier by the Maharajas of Travancore and Cochin and the north administered by the British as part of the Madras Presidency, government policies had identified "secular education on the Western pattern" as a unifying factor, especially with regard to the integration of `minority’ Muslims (a sizable section of the population) with other communities. Muslims of Kerala are recorded to have lived in cultural harmony with Hindus in the region for the first eight centuries of their history. But early descriptions of the community at the turn of the 19th century are not in glorious terms but as `backward’, `moribund’, `medieval’, `beaten’, `conservative’ and `defensive’, to name a few. By the latter part of the 19th century, most of these adjectives became unacceptable following targeted government policies and the slow realisation among newly educated community members about the impractical situation they would be in vis-?-vis other communities (significantly Hindus and Christians) if they continued to nurture their traditional opposition to higher `secular’ education. Thus, even though elements opposing education other than rote learning of the Koran, education outside madrassas and education of girls remained dominant, and the literacy rate among Muslims remained a mere 5 per cent, there were 1,497 elementary schools for Muslims in British-ruled `Malabar’ by 1931, with a total of 104,000 students (a mere 4 per cent of them were girls), according to researchers. The opportunities for education of Muslims in Travancore and Cochin were much better and came early as a result of the enlightened policies of the rulers and the rumblings of a revolutionary social change already in evidence there by then. By 1960, nearly three decades after newly educated Muslim leaders began to remark openly that "it was indifference to secular education that was responsible for Muslim inequality with other communities" and that it had "blocked their progress, retarded the community economically, and created a public image and private mentality of backwardness", an estimated 47.3 per cent of Muslim children of school-going age in Kerala were attending schools along with those from all other communities. And, by 1972, the progressive environment in the State had found almost all eligible Muslim children being admitted in elementary schools. Scholars have described this as the early "definite turn on a new road" for Muslims in Kerala, the widespread involvement in education producing a remarkable change, "its most important characteristic being the thirst for more", even though higher education, especially secular college education and education of girls of older age, continued to be a provocative red rag for a large section of community leaders. In fact, a well-known study on the community by the Canadian Islamic scholar Roland E. Miller says it took nearly a decade after the first Muslim student from the Muslim heartland, Kozhikode district, received a bachelor’s degree in 1939 for a group of progressive Muslims to establish a "Muslim college", which would be acceptable to (though not all) conservative leaders - with a mosque at the centre of the campus and compulsory religious instruction for all Muslim students - even though its approach was proclaimed to be "cosmopolitan", and aim was "all-round development of every student" through "liberal education" offering courses in Arabic, Islamic History and Urdu along with English, mathematics, science and commerce and with the faculty being drawn "from the Muslim community whenever possible". The Farook College in Kozhikode soon spawned throughout Kerala similar Muslim institutions for education and other progressive social and philanthropic organisations aimed at the social, cultural and educational advancement of Muslims. Its leaders goaded the community "to use their own strength", "to learn from the example of other communities" "even while maintaining cordial relations with them" and "not to continue blaming their past for their present condition". Most importantly, it launched a new tradition of challenge within the community to the forces that drew it backwards, compromised its progress for the sake of power, and hindered its development and integration with the secular ethos of the State. That was not all. Following their slow but lasting embrace of secular education that transformed social life, leadership roles and faith among Kerala Muslims, a cocktail of enticing forces began to beckon, as they had for other communities in Kerala earlier. Among these forces, importantly, were the opportunity that opened before them, following Partition, to participate forcefully in governance in a small State through their own political party and which gave them a sense of power over their destiny; the simultaneous promise that communism brought before them, "of relief from poverty, of social justice, equity, redistribution of land, jobs and higher salaries and living standards"; and later, the seemingly permanent salvation that migration to oil-rich West Asia offered to a lot of them from the pervasive problems of unemployment and insufficient income in modern Kerala. Of these, the most significant result of early, targeted and secular mass education was the popular realisation among Muslims that the welfare of the community depended on the intelligent utilisation of opportunities for sharing power with others, especially if they could use their vote bank clout as a committed weapon for community advancement. Coalition-ruled Kerala has seen the Muslim League as a ruling partner in many a government. Even though it brought a sense of power and much-needed attention to many of the community’s pressing daily needs, it also gradually led to disenchantment between the League and its usual alliance partner, the Congress, and opened the doors for rival Muslim organisations and the amazing spread of the communist ideology among the Muslim masses. But as many researchers have pointed out, the solution to the economic disabilities of Muslims of Kerala, some of which they shared historically with their counterparts in North India, "could only be solved partially through politics". Political power, for example, could help monitor employment policy (not such a novelty in a State where even erstwhile princely states classified Muslims as a "backward community" and introduced communal reservation for them along with others as early as the 1930s) or aid in targeting development activity to areas where a majority of Muslims lived (even unjustly at times at the expense of other regions). But most of their problems were products of a certain religious inertia and their resultant slow movement from an agrarian, feudal context to a rapidly modernising one, where they found themselves being under-educated, inadequately skilled and ill-equipped for an increasingly competitive job market where the other major communities, Hindus and Christians, already had a lead and were ever moving forward. Moreover, the numerical growth of Muslims in Kerala had continued to be much higher than the growth rate of other communities, adding to their problem of finding education and employment for all. It is in this context that their early acceptance of communism as a friendly, progressive force becomes the most important and, perhaps, integrating result of secular education among the Muslims of Kerala. Communism appealed to a lot of educated Muslims, as it would brook no discrimination in terms of religion or caste, and especially after it demonstrated a visible commitment to the poor and the minorities (even while it opposed communal parties) by introducing revolutionary land reform and labour laws and welfare policies that offered relief to the poor and the unemployed, irrespective of caste or religion, and by organising successful campaigns for total literacy, decentralisation of State power and on issues of health, population, environment and sanitation. The response to these State-wide programmes were the most encouraging in north Kerala, especially in Malappuram, which a communist-led State government had carved out in 1969 as a Muslim-majority district and a source of constant political and psychological satisfaction for Kerala’s Muslims. Malappuram was one among the first totally literate districts and recently also became the first totally e-literate district in Kerala. And, throughout the State, as in Malappuram, Muslims are today less wary of the messages on family planning, raising the age of marriage for girls and on the need for utilising the services of health and family planning centres. Interestingly, Muslims once again felt the need for faster educational progress of their community when the initial rush for jobs and money to the Gulf began to include only well-educated Christian and Hindu engineers, doctors, accountants and managers from Kerala. Later, of course, by the early 1970s when the West Asian oil boom required labourers too in large numbers, even if they were semi-skilled or unskilled, the community benefited and began to catch up, with Gulf remittances boosting family incomes and prospects, including educational opportunities. No doubt the Gulf boom involved all communities and changed Kerala, launching it into the mode of a high-spending consumer State with low employment potential and fewer avenues for economic growth and welfare or development programmes. As "Gulf mansions" mushroomed and land value went up, a strong middle class arose on the one hand and those who were left out fell further into despair and poverty. There emerged pockets of extreme poverty. At the time of the Gulf war alone did concern arise, especially in the Muslim community, whether the remittances that flowed in, in many cases irrespective of the educational attainments of a large section of job-holders, were indeed put to good use for sustained economic or educational benefit of the community . The answer, in many cases, was `no’, a worrying one in a State where it was obvious that governments (even those with sizable Muslim representation in it) could no longer be a large-scale job provider, and where, according to a recent study by the Kerala Sastra Sahitya Parishad (KSSP), 15 per cent of the total population are `those below the poverty line’, 35 per cent are `poor’ and 41 per cent belong to the `lower middle class’ and only a thin upper crust of 10 per cent of people consisting of the `immensely rich’ and the `upper middle class’ have benefited from "the rising incomes" reported since the 1990s. Certainly, Kerala’s evolved political, social and human development context will not allow any sort of discrimination in terms of religion, as any Muslim leader would vouch for today. Such non-discrimination is evident in all walks of life in the State, including in opportunities available for education and government jobs (where Muslims have long enjoyed 12 per cent reservation as one of the eight major backward class communities). Yet the Rajinder Sachar Committee members who visited the State before finalising their report expressed surprise that a commission (appointed by a communist-led government in 2000) to "study the adequacy or otherwise of representation of the Backward Classes" in public services had found that Muslims (who make up 24.70 per cent of the State’s total population) have got only 10.54 per cent representation in the State departments, the judiciary, public sector enterprises and universities and other autonomous institutions. The three-member K.K. Narendran Commission found that Muslim representation in public services was in almost all cases below the reservation quota, the difference being between 0.3 per cent and about 6 per cent in the four categories. However, it makes a significant observation about Muslims, after pointing out that Ezhavas, the most socially and educationally advanced among the Backward Classes in the State, have, in contrast, universally got better representation, by securing posts in the merit quota too over and above the reservation quota. The commission said the main reason why Muslims as well as other Backward Class communities have not fared well is "nothing but educational backwardness" and that they can emulate the example of Ezhavas "if they pay more attention to the education of their children". Data from the KSSP study published in September 2006 are revealing in this context: of the total Muslim youth in the 18 to 25 age group in Kerala, a mere 8.1 per cent are in college (Hindus: 18.7 per cent; Christians: 20.5 per cent), 6.2 per cent alone are engaged in other studies (Hindus: 9.9; Christians 14.9); 30.5 per cent are employed (Hindus: 32.3; Christians 32.7) and 55.2 per cent are unemployed (Hindus: 39.1 per cent; Christians 31.9 per cent). Muslims have clicked `Pause’ on education only to their disadvantage even in a progressive society that has nurtured their interests throughout history. "Muslims in Suket being harassed by police"